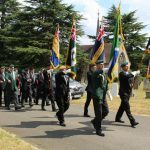 COMMONWEALTH MEMORIAL GATES, LONDON – The 2019 Commonwealth Memorial Parade on Monday 11 March was particularly well attended by the South African Legion UK & Europe Branch. 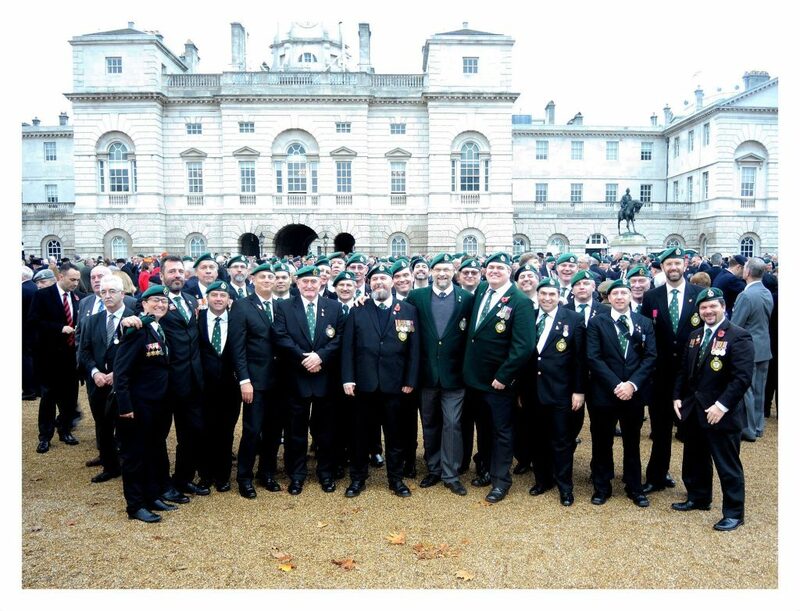 Several Legionnaires, some with partners, mustered at Hyde Park Corner, to rub shoulders with military attachés, representatives of armed forces from across the Commonwealth, serving and retired members of the British Armed Forces of Commonwealth origin and ancestry, as well as delegations from the High Commissions of a multitude of Commonwealth member states. 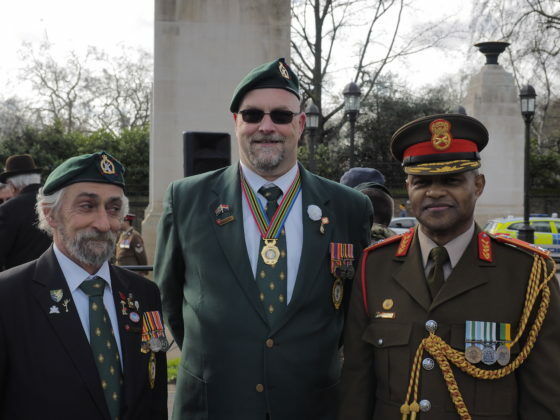 The South African Legion delegation met in bright sunshine at 10:00 ahead of the parade (Spring has certainly sprung, but don’t stow your greatcoat quite yet). Logistics dispatches should note that all South Africans were uncharacteristically on time! 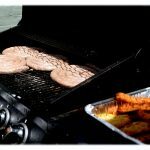 This might have had something to do with the fact that some Legionnaires were under ‘spousal supervision’, which clearly ensured strict discipline. 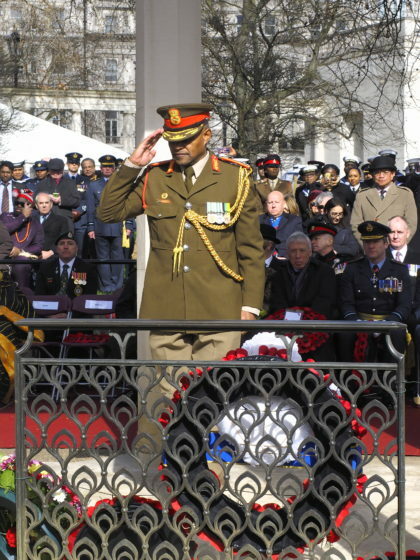 We were soon introduced to the new Military Attaché to the South African High Commission in London, Brig Gen E Ramabu, with whom the South African Legion is already building a strong relationship of mutual cooperation. 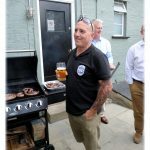 Those Legionnaires who have attended regularly over the past few years were able to renew old stalwart acquaintances. 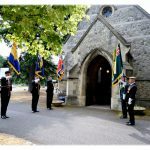 A dignified service followed. 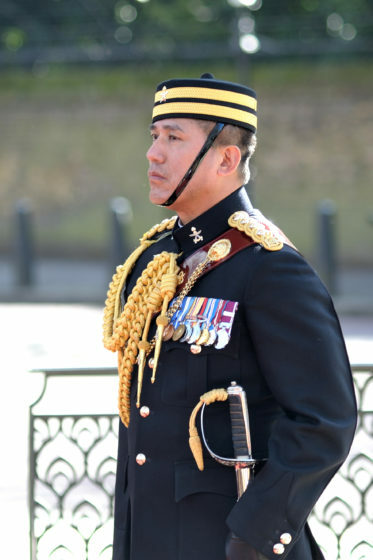 Gurkha bugler sounded Last Post, followed by two minutes’ silence. 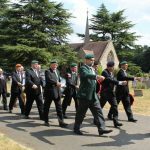 After the bugle ‘Short Reveille’ or ‘Rouse’, a Ghurkha piper played the lament, and Guests of Honour were called by name to lay wreaths. 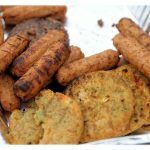 After the parade, guests adjourned to a nearby marquee for super refreshments and delicious snacks, provided as always by London’s Indian community. 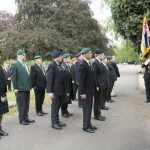 Several of the South African Legion contingent subsequently repaired to a nearby pub to appropriately consider a successful day, and an appropriate ‘flying of the flag’ for both South Africa and the Legion. 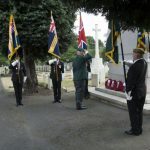 RICHMOND-UPON-THAMES – On the morning of Saturday 14 July 2018, the South African Legion (UK & Europe Branch) in association with MOTH (Gazala Shellhole) hosted the very well-attended Delville Wood Remembrance Parade at East Sheen Cemetery in Richmond, London. 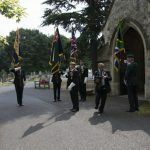 The Legion and MOTH contingents were swelled by members and standard bearers of the Royal British Legion (South Africa Branch and Teddington Branch), MOTH (General Browning Shellhole) as well as the Master and several Freemasons from the London-based South Africa Lodge No. 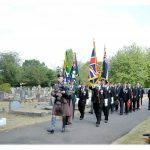 6742 (UGLE), supported by several family and friends. 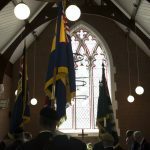 We gathered at the cemetery chapel to remember the 229,000 South Africans who volunteered for World War 1, paying tribute to 2,500 who perished in the Battle of Delville Wood (15 July – 3 September 1916), the single biggest South African military loss on the battlefield. 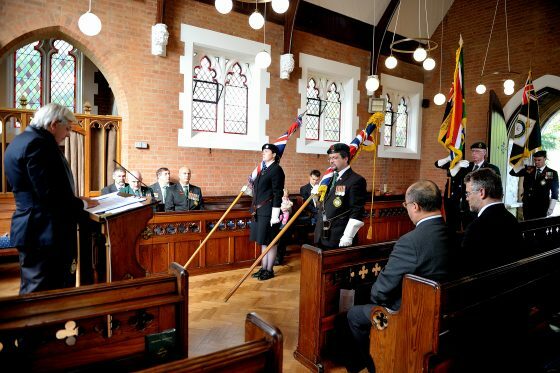 The Standards were paraded into the chapel and Lgr. 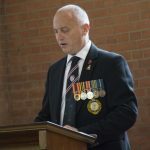 Craig Esterhuizen led a dignified remembrance service of prayer, reflection, and hymns, with poems and contributions read and recited by representatives of all organisations present. 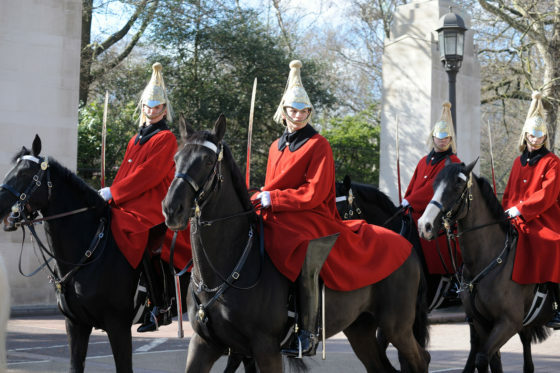 Under the expert direction of Ceremonial Officer Lgr. 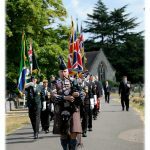 Brian Parry, veterans fell-in behind the gathered Standards and a piper from the London Scottish Regiment (aka the ‘Cockney Jocks’) and marched in quick time to the nearby South African Cenotaph in the Commonwealth War Graves Commission section of the vast civilian and military cemetery. 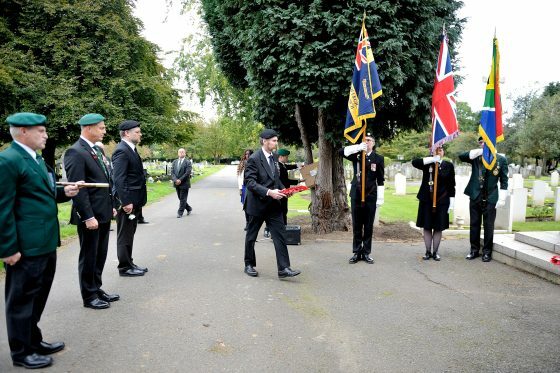 Standards were dipped in salute as the bugler sounded Last Post following the Act of Remembrance. 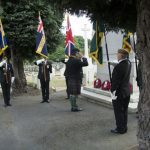 As the piper sounded a poignant lament, wreaths were laid by the SA Legion England, Scotland, and Europe Branches, MOTH Gazala Shellhole, and South Africa Lodge. 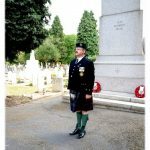 SA Legion Scotland Branch Chair Lgr. 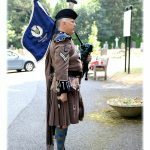 Cary Hendricks, resplendent in full Murray of Atholl Highland kit then took the salute on behalf of the Regional Exco. 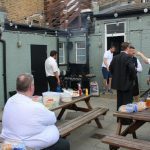 We then proceeded to the The Mitre in Richmond for several cold pints, and super braai in the beer garden catered by Lgr. Theo Fernandes, Lgr. Dutoit Verster, and Lgr. Johan de Vries. 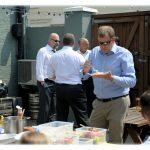 Legionnaires, MOTHs, and Masons mingled and seemed to have imported South African summer weather to Richmond. 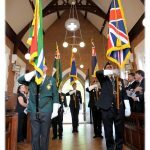 Bravo Zulu to all involved (far too numerous to name). 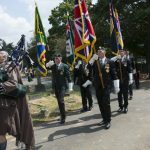 RICHMOND UPON THAMES – The England Branch of the South African Legion hosted the inaugural Battle of Square Hill Parade at the South African cenotaph at London’s Richmond Cemetery on Saturday, September 23. 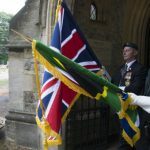 The inaugural parade was preceded by a dignified ceremony presided over by the Rev John McCabe in the cemetery chapel to dedicate the new flags of the SA Legion England Branch. 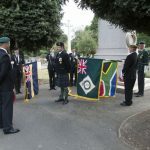 South African Legionnaires were then joined in the parade and Act of Remembrance by representatives of the Royal British Legion (SA Branch), Royal British Legion (Gloucester), and M.O.T.H. (Gazala Shellhole). 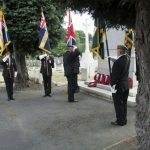 Guest of Honour was Councillor Margaret Buter, who represented the Borough of Richmond upon Thames. 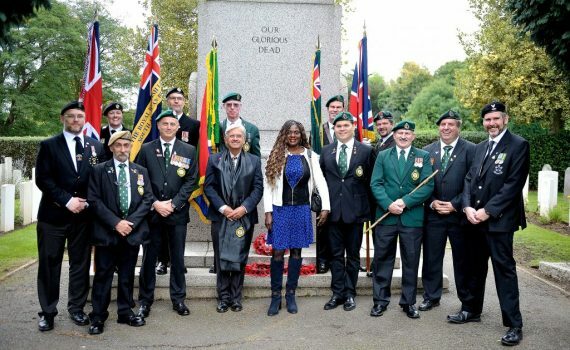 Councillor Buter told the SA Legion of a personal affinity with the memorial: She originally hails from Zambia where her grandfather served with the King’s African Rifles. 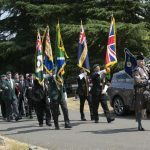 South African Legion England Branch Chairman, Lgr Claudio Chistè, said he was delighted at the success of this first parade, which has been a precursor to the Centenary of the Battle of Square Hill in 2018. 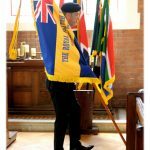 “Today’s inaugural parade has already served to promote awareness of this important event in South African military history,” he said. 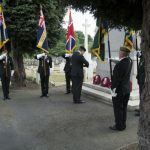 Following the Act of Remembrance, a wreath was laid at the SA Cenotaph on behalf of the SA Legion by Lgr Iain Dunn, and a floral tribute was then laid by Shaun Kennedy of M.O.T.H. 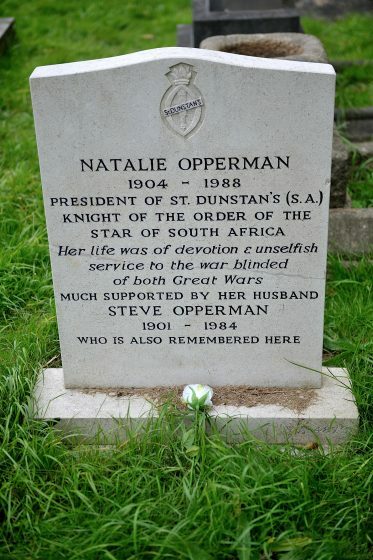 Gazala Shellhole at the grave of Natalie Opperman (1904-1988), Chairman of St. Dunstan’s (South Africa), and Knight in the Order of the the Star of South Africa (Civil) in acknowledgement for her life-long devotion to those blinded in the two World Wars. 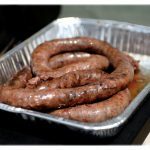 It is the highest civilian award in South Africa. During the night of 18 September 1918 the 1st Cape Corps themselves had taken 181 prisoners. Having come under “fairly persistent counter-attack” they were said to have battled with bayonets in the ‘strictest silence’ and that they carried out orders implicitly”. 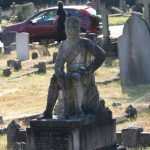 The horrors of the Great War are difficult for us to grasp in the modern era, an example of this is one of the men who lies in Richmond (see picture above). 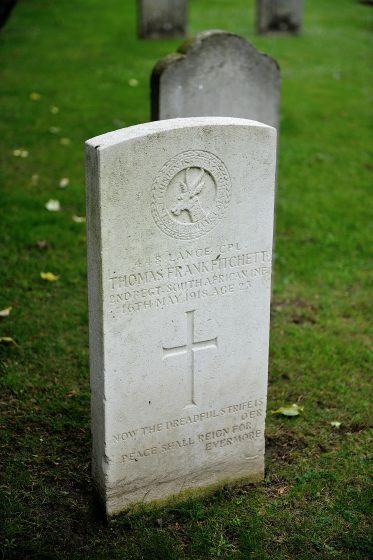 L/Cpl Thomas Fitchett was wounded twice in 1916, again in 1917 and each time on being declared fit, he was returned to the front line. Then, sadly in 1918 he was severely wounded and he died from these wounds in the hospital a month later at the age of 23. Presenting an SA Legion Shield to the SA Ambassador, wrapped by Johanna Bergman-Badings in green kraft paper and gold ribbon. 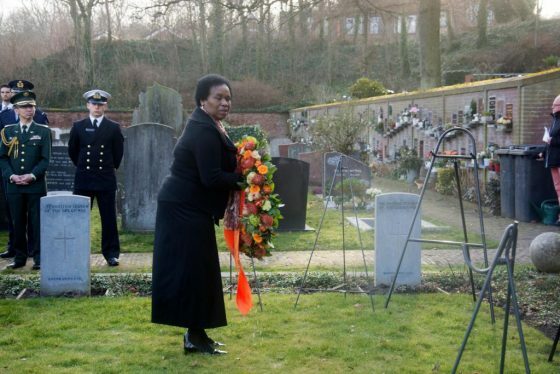 The centenary of the sinking of the SS Mendi, as well as Armed Forces Day was commemorated at Noordwijk in the Netherlands on 21 February 2017. 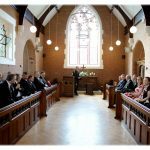 The ceremony began with a moving chapel service led by Rev. Andrew Gready. 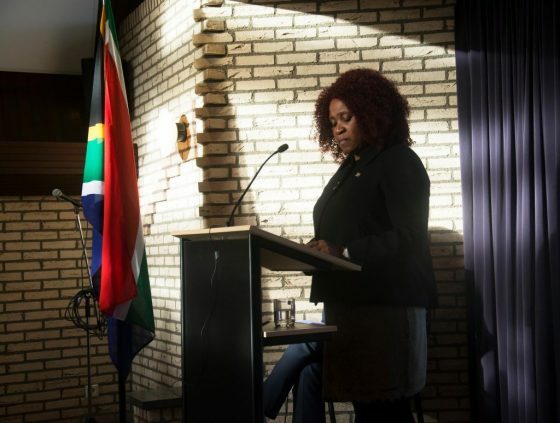 Short speeches were delivered by the Mayor of Noordwijk Jan Rijpstra, South African Ambassador Vusi Koloane, Lesotho Ambassador Ms Mpeo Mahase-Moiloa, historian Mark Sijlmans, and myself on behalf of the South African Legion. 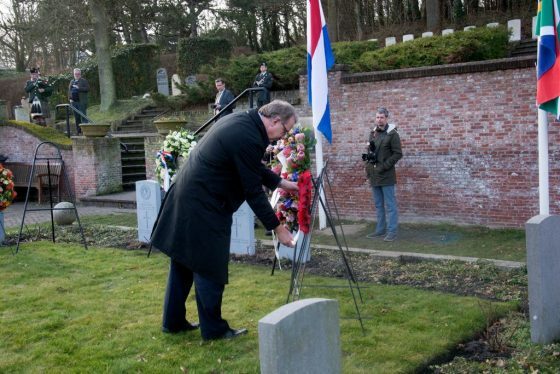 The service was followed by a wreath-laying ceremony at the gravesides of five named, and one unnamed SS Mendi casualties, whose bodies were washed-up on the Dutch coast, and now rest in the Commonwealth War Graves Commission section of the Noordwijk General Cemetery. 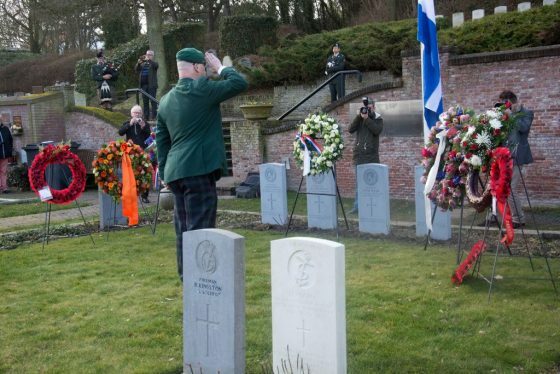 The now-annual event was hosted by the South African Embassy in partnership with the Municipality of Noordwijk – who have been of amazing support in the way they have embraced ‘their’ SS Mendi casualties – and the South African Legion (EU branch). 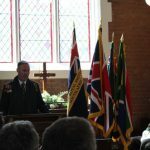 South African dignitaries included the Ambassador, as well as Defence attaché Brig. Gen. Mac Letsholo, Chargé d’Affaires Mrs. Namhla Gigaba, and a fine delegation of embassy and consular staff. 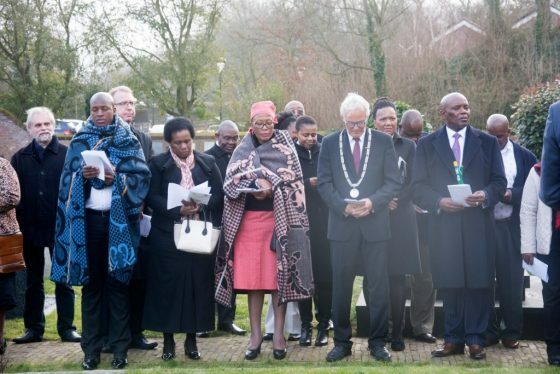 In addition to Lesotho, the Ambassadors of Cameroon, Egypt, Kenya, Senegal and Zambia were also in attendance. 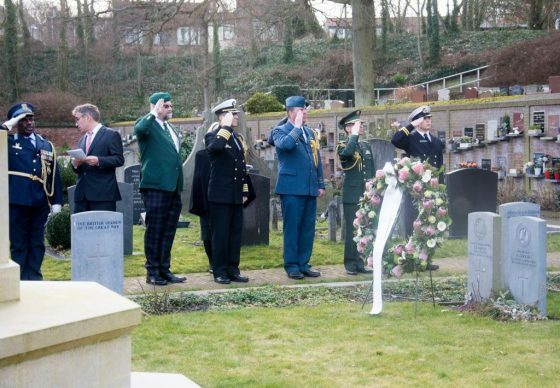 The Defence Attachés of the USA, Great Britain, Canada, Japan, Romania and Uganda also attended. 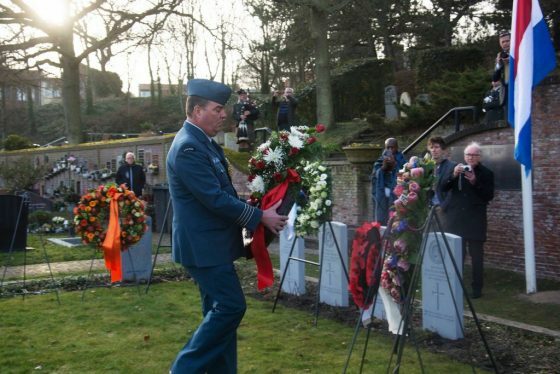 The Royal Netherlands Armed Forces sent several high-ranking officers from various branches. 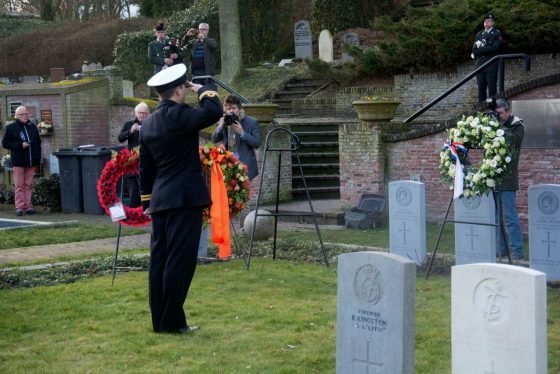 They also supplied a Guard of Honour of Dutch soldiers to perform ceremonial duties such as raising and lowering the flags. 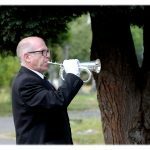 They also supplied a very competent trumpeter who played Last Post, and a piper who added much decorum to the proceedings. 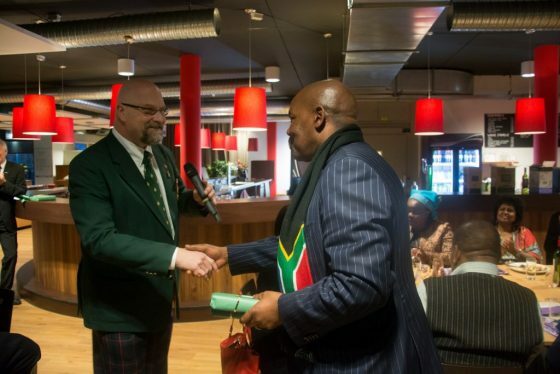 Afterwards, the SA Ambassador invited guests to an informal dinner of South African food and wine in Noordwijk’s superb new sports complex. After dinner, I was given the opportunity to say a few words. 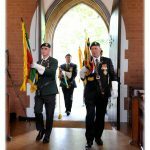 As a token of our appreciation for their continued support, I presented SA Legion Shields to the Mayor of Noordwijk, Ambassador Koloane, and Brig. Gen. Letsholo. I also presented the Ambassador, the General, and Chargé d’Affaires Namhla Gigaba with first editions of Fred Khumalo’s just-published novel ‘Dancing the Death Drill’, that includes the sinking of the SS Mendi in its plot. 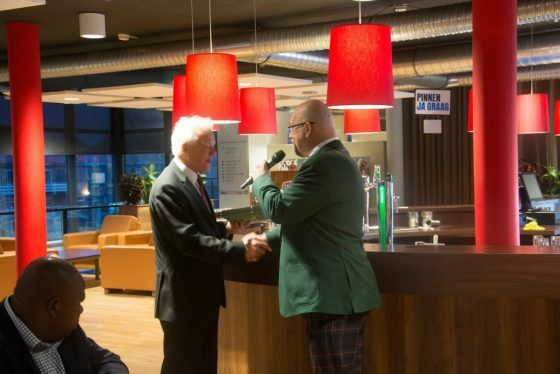 I presented a further two copies to the Mayor of Noordwijk for the city’s public library. 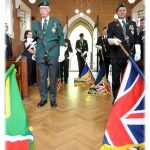 It is incredibly heartening to see how an event that was started by the South African Legion EU Branch just three years ago has grown from a modest ceremony with a few dozen attendees to an annual remembrance embraced by the SA Embassy as well as the international diplomatic community, and attended by well over 80 people. 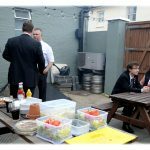 It was just a pity it fell on a work day, which prevented more of the UK Legionnaires from attending. 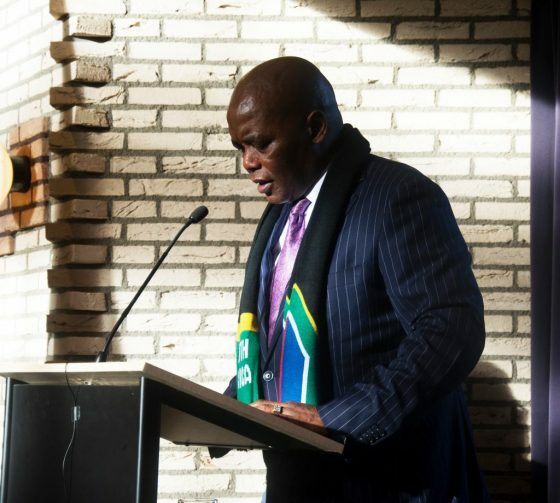 It was humbling for the SA Legion to receive special mention in Ambassador Koloane’s speech, in which he thanked us ‘for keeping the memory alive’. 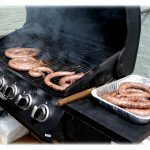 That is for ever eKoloni, kwaZulu, Mpumalanga, Lesotho, mZanzi Afrika. Many of the men who were lost off the Isle of Wight that dark February night 100 years ago had never seen the sea before they gathered at the Green Point Track near to Cape Town harbour to board the SS Mendi. So as the sea engulfed the ship, they had little chance in the frigid waters. The remains of those pitiful few SS Mendi casualties that the cruel sea surrendered might lie in foreign fields, but still, today, after 100 hundred years, their sacrifice does South Africa credit. 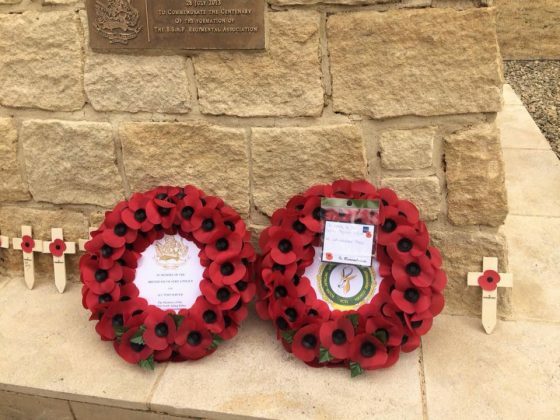 Their names join those of thousands of soldiers who paid the ultimate sacrifice – for better or for worse – for King, Commonwealth and Country. 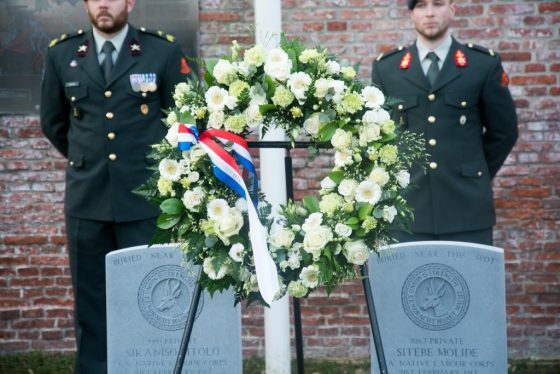 Nederland koos voor neutraliteit in de Eerste Wereldoorlog, maar toch waren Nederlanders niet gespaard van de vele nare neveneffecten van een oorlog dat op hoor afstand werd gevochten. 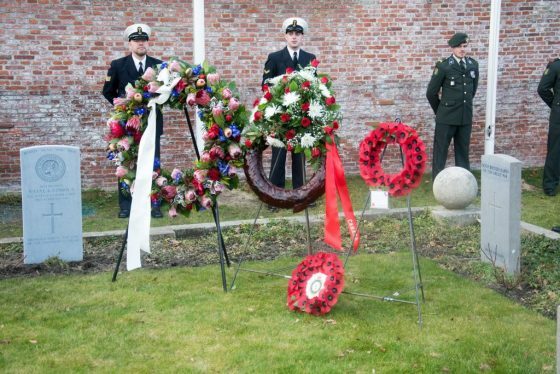 Vanuit Nederland hoeft men vandaag maar een dag-ritje Ieper of een weekeindje naar Parijs te maken om de relatief – en certainement na Zuid Afrikaanse begrippen – zeer kleine geografische afstanden waarin de industriële oorlogsellende waarna te SS Mendi stoomde zich afspeelde. 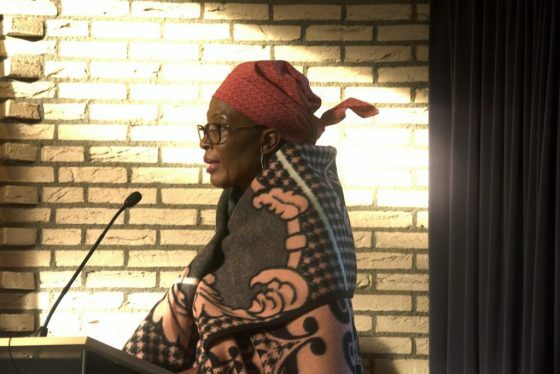 Zo werd zelfs de stoffelijke resten van de Zuid Afrikaanse soldaten, gedragen door zeestromingen en aangespoeld op de Nederlandse kust. 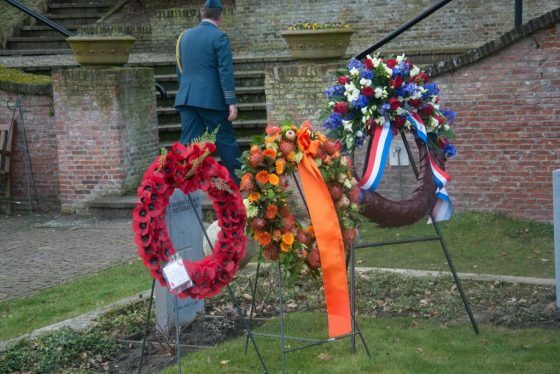 En hier in Noordwijk werd onze kameraden, geboren in de droge uitgestrekte vlaktes van Zuidelijk Afrika, of in de heuvels en bergen van KwaZulu or Umtata of Lesotho, of Botswana, uiteindelijk met respect en liefde te rusten gelegd. Maar uit het bloed-doorweekte as van de oorlog rijzen vaak ook positieve dingen. 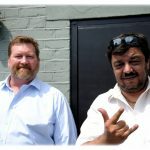 Vandaag krijgen de leden van de South African Native Labour Corps het aandacht dat ze terecht verdienen, maar tot onlangs door ‘selectieve geschiedenis’ grotendeels ontnomen waren. 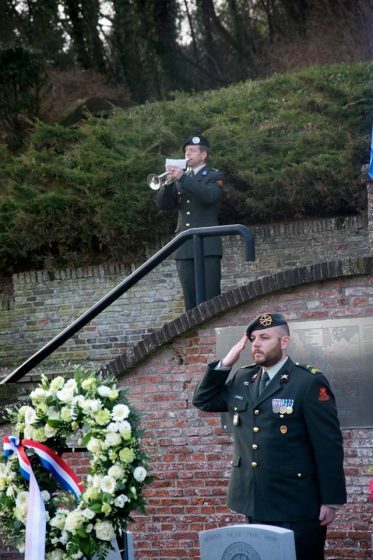 Dan, over de loop van drie jaar, tijdens het regelen van deze nu jaarlijkse herinneringsbijeenkomst, heb ik een bijzondere relatie zien bloeien tussen Gemeente Noordwijk, de Zuid Afrikaanse veteranen, en de Zuid Afrikaanse diplomatieke vertegenwoordiging. Ik ben zeer benieuwd om te zien wat daaruit ontwikkeld. 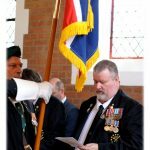 So today, on the occasion of the centenary of the sinking of the SS Mendi, and in celebration of South African Armed Forces Day, the Europe Branch of the South African Legion of Military Veterans embrace and salute our comrades-in-arms, past, present and future. 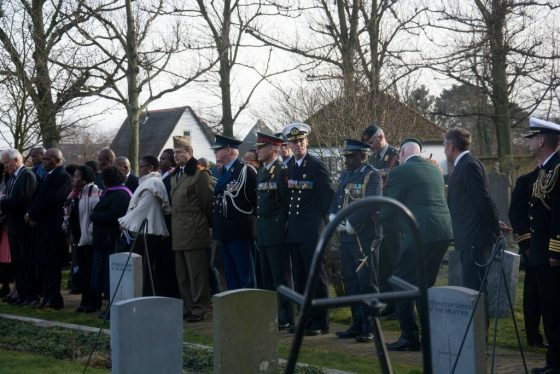 And we remember that there is one corner of this field in Noordwijk, where Privates Leboche, Zendile, Molide, Kazimula, and Mtolo now lie, that is forever mZanzi Afrika. Report by Andrew Bergman, images by Johanna Bergman-Badings. Ladies and Gentlemen thank you for assembling for our Annual General Meeting. What a benchmark year 2015 has been. A quick look back through the year is quite telling and the scope of work quite staggering for what is in essence a still a very young branch. 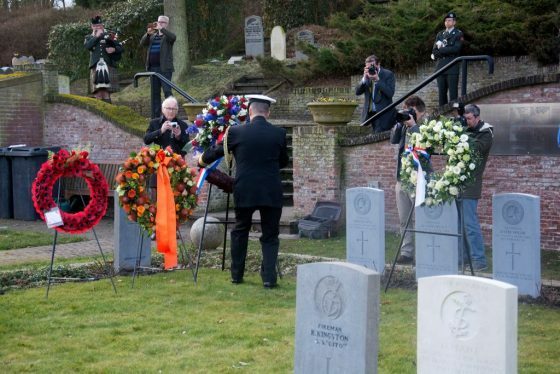 In February we initiated the very first SS Mendi parade in the Netherlands to remember the victims of the Mendi buried at Noordwijk. 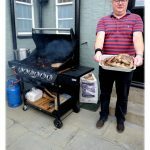 This was arranged by our PRO and Chairman in Europe Lgr Andrew Bergman, and a stunning first attempt it was too, soundly supported and executed on an exemplary level. 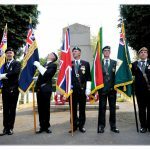 Andrew is working on the second SS Mendi parade for 2016 and I strongly urge all members to make the effort, take the ferry to join him, it’s an excellent weekend away. 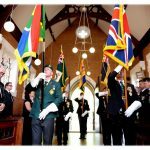 We also led and conducted a parade in Portsmouth with the High Commissioner of the South African embassy, which although been challenged with a weekday and an awkward time, we still managed to put on a good show for Embassy VIP’s, Defence attaches and media. 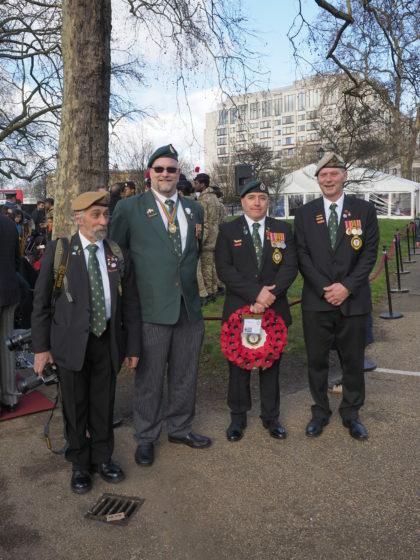 In March, we were present again at The Commonwealth Day parade at the Memorial Gates, helping our relationship with the Soldiers Charity and the Commonwealth fraternity. 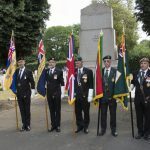 In May, we held the highly successful Standard Dedication ceremony and Italy Commemoration parade at the “Springbok” Cenotaph in Richmond. 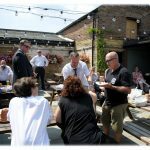 I cannot even begin to express my extreme thanks and pleasure at what we managed to do for this, by far the biggest event we have managed to put together. This list of participants and thanks far exceeds the time of this address – but suffice it to say “Bravo Zulu” too many Legionnaires would be an understatement. 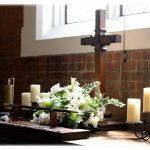 The outcome – a Beautiful and fully dedicated Standard and loads of goodwill from a number of organizations – we had – at last – as they say “come of age”. 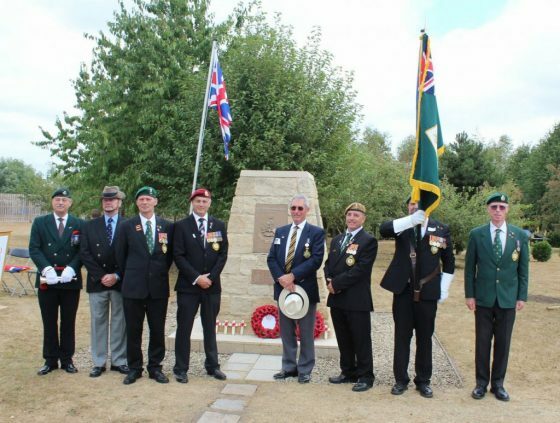 Working closer with The Royal British Legion Riders in May, we had a strong presence at their Ace Café commemoration and were central to the attractions on offer – strategically placed next to the SADF Buffel. 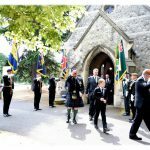 We helped with their Poppy Appeal raising funds as well as securing prizes for their raffle. 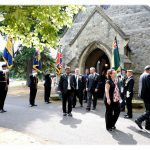 Armed Forces day in June further solidified our friendship with The Royal Naval Association and saw the RBL South African Branch standard on parade on the first time. 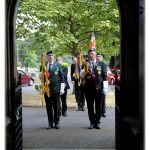 This was followed by a highly successful Legion pilgrimage to commemorate the Delville Wood battle in France – getting bigger and better we took a greater command and role in the veteran contingent on parade. 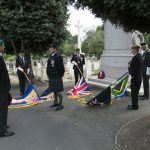 We also earned substantial accolade from the dignitaries and organisers for taking care of their VIP invite – Rose McTavish – who’s Grandfather was the Colour Sergeant on the Mendi and is now commemorated at Delville Wood. 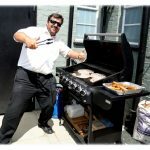 In the summer season we took a new twist on the Royal British Legion’s “summer picnics” but doing it South African Style and having a “Braai” instead – rigging up a presence for purposes of recruitment and awareness at The South Africa Day in Basingstoke and the Vetkoek and Vleis Day in Newbury. 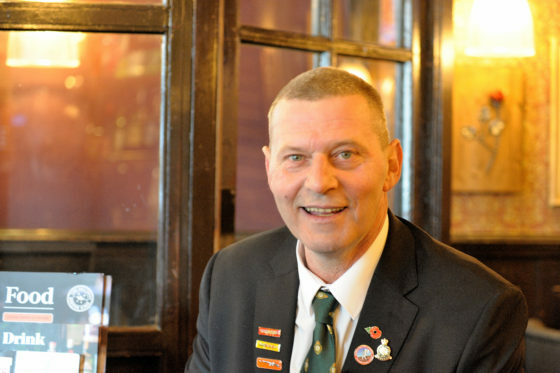 Legionnaire’s depth of generosity was on show when Sean Renard secured Peter McAleese’s SADF “slangvel” smock and we as Legion arranged for it to be handed back to him at the book signing and announcement of his second book “beyond no mean soldier’. To see a priceless smock returned to a veteran lit up the room, a true treasure. The motto “Not for Ourselves, but for Others” in true flight. 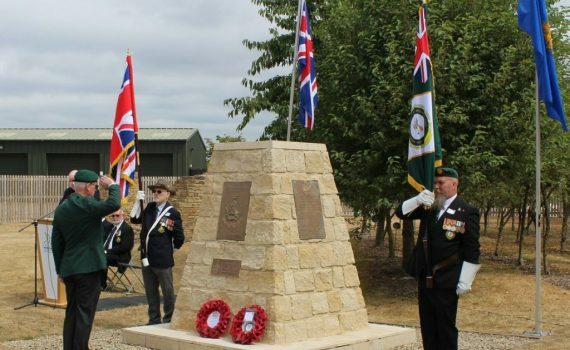 Lgr Peter Gillatt and I had the privilege of attending the unveiling of the Rhodesian African Rifles memorial at the National Arboretum. 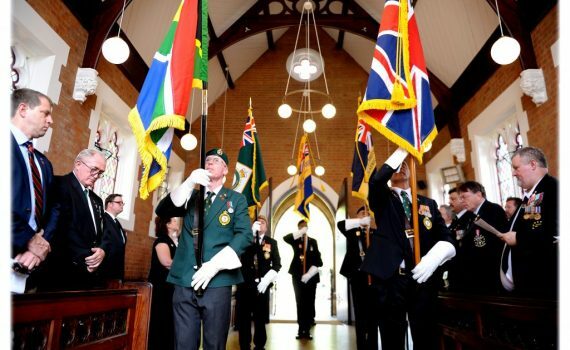 Deeply proud of Peter as this event drew the SA Legion very closely to the Rhodesian veterans’ fraternity in the United Kingdom and this relationship is growing closer every day. In the lead up to this parade, we managed to secure our first Youth organization as a branch thanks to the hard work of Lt Cassandra Shaw, and we are now proudly associated to the 133 Cadet Army Force. 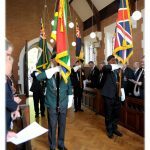 This milestone cannot be underestimated as it’s a significant first – both for the Royal British Legion National Branches and the South African Branch. 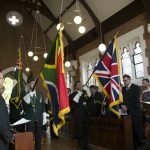 Another all-time first on the Royal British Legion South African Branch front – the branch was given it’s tickets for The Festival of Remembrance yesterday attended by Tom and Ellen Mason on behalf of the branch – but the true highlight was to see Peter Gillatt carry the Royal British Legion South African branch Standard into the auditorium for the first time – that indeed was historic. 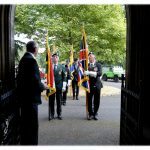 Our relationship with the Royal Hospital continues to get healthier and by their invitation we were able to attend their famous Founders Day parade and The Opening of the Garden of Remembrance earlier this week. 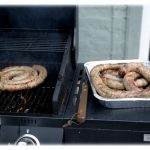 Despite setbacks on the branch’s membership numbers in March, where a small number of our members were inappropriately and actively targeted and eventually wooed to join another veteran organization – the South African branch was quickly able to recover the loss. So much so we are even able to declare a positive membership growth at year end. 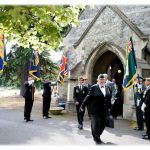 This growth and positive striving can easily be seen in today’s parade past the Cenotaph – we had more members on parade this year than we had last year, more participation by members’ families than last year and more enthusiasm, purpose and direction in the branch management. So how does the way forward in 2016 look? 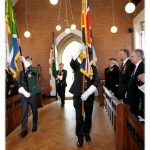 Happy to report that due to strong measures taken in the first quarter, our social media is now as robust as ever, it’s growing and we now have a very healthy and informative on-line community. The ever changing beast that is on-line media and how we communicate and keep in touch with one another is quite something to stay on top of. 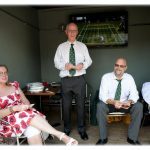 Lgr Cameron Kinnear is working hard behind the scenes to deliver bigger and better things in the new year as the branch keeps apace – look out for a more consolidated Legion digital platform in the works. 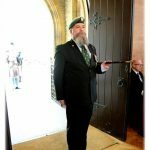 As I said last year – our future in the UK does not lie in our ability to draft South Africans veterans off Facebook who have an axe to grind. 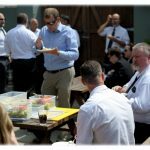 Our future lies in the way we open ourselves up to the communities in which we operate – it lies in how we make ourselves attractive to those communities and stakeholders. This is why we are been very successful in bringing members’ families into what we do. The Legion is not a “drinking club” – that image is about as far away from our vision and mission as you can get. We want our wives and children involved; we want youth programs, community programs and family activities. 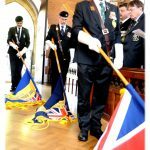 Last year I spoke of the “nugget” feeling that all of the veterans taking part in the Cenotaph parade would feel, and those here today will know exactly what I mean. 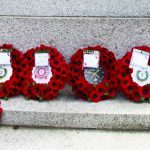 When I first came to the UK there no South African representation at the Cenotaph and there was substantial resistance to get us there. We have through careful management finally got there. 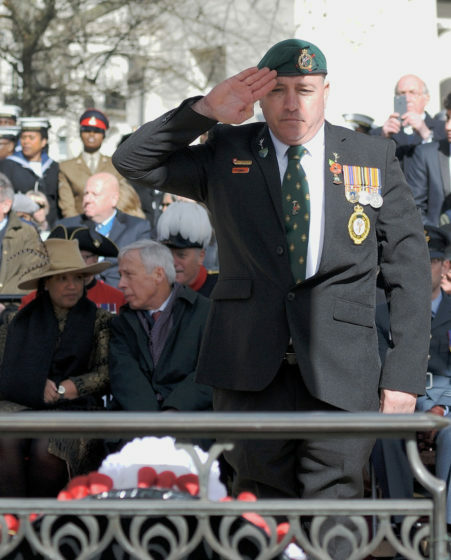 My sole mission was to get South Africans onto that parade to help them understand what pride in service actually means. When we march past the Cenotaph we are marching down a road our forefathers took into battle – tens of thousands of South Africans paved this specific road for us in their blood. 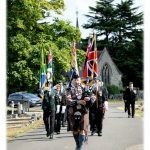 We are the carriers of that torch – we as ex-servicemen carry that privilege – that is our honour – this is our “Pride”. 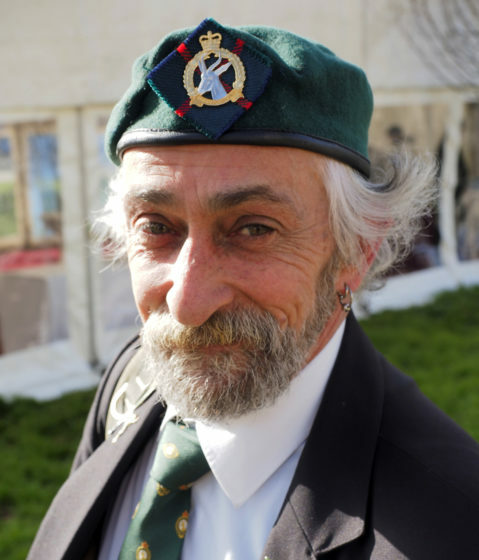 Our future lies in our on-going recognition and acceptance by the veteran and the armed forces communities in the UK. 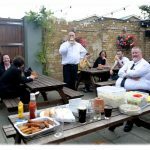 Being Legion in the UK gives us the passport to do this – let’s face it the Legion is the Big Daddy here – and what we do with that passport is critical. 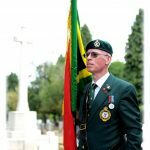 Keep the eye on the prize, and actively seek out your local RBL branches and clubs – make your unique mark as South African veterans within those clubs. 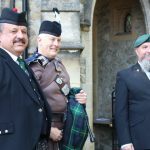 Not everything happens in London – we must “move out” to South African veterans all over the country and provide our service to them. 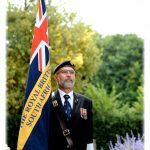 We need to find RBL clubs in which to regularly meet others in our area and get stuck in raising money doing Poppy Appeal activities with the branches in question. 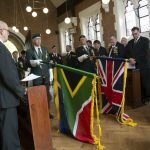 It’s this way that we will be accepted and it’s this way that we will attract South African veterans in the UK to join us – to impart the knowledge that they too – as veterans – can participate in community activities, whereas in the past they’ve stood aside wondering if they were entitled to join in. Well now they can. 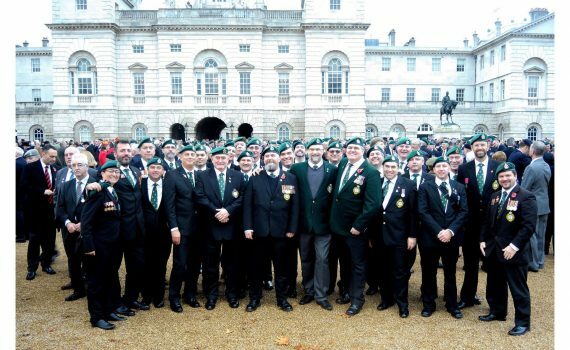 We have to create the right bedrock for these future members to join too, not all South African expatriates in the UK are interested in re-living the past, many veterans have put the whole military thing way behind them. What will attract these people is the noble cause of been part of the Legion, of been part of a fun community of like-minded fellow South Africans with a positive outlook. 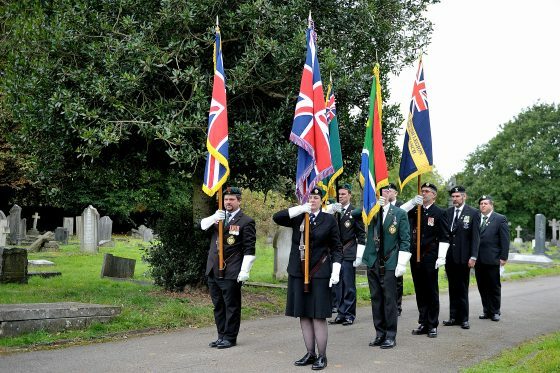 We also need to continue to bring in the South Africans who have served in the British Armed Forces into our branch. These men and women are the future, they are the people who will carry this branch forward, they will give us the right credibility to stand in the place so rightfully deserved for South Africans and ultimately we need to build this foundation. 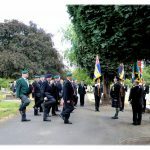 They are the future “beneficiaries” of the branch who can actually benefit financially from been part of the branch and The Royal British Legion. Let’s get these people “in”. 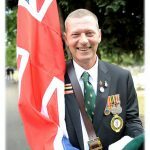 To wrap up, we’re looking good, we’re growing, we’re expanding and our reputation in the UK is going from strength to strength – we are now a fully-fledged part of the British Veteran Community– and there are a lot of eyes on us as the newcomers to the block. We’ve withstood the challenges to emerge fully ordained, and we’ll stand proud in our mission, proud in our identity and proud in our achievement. 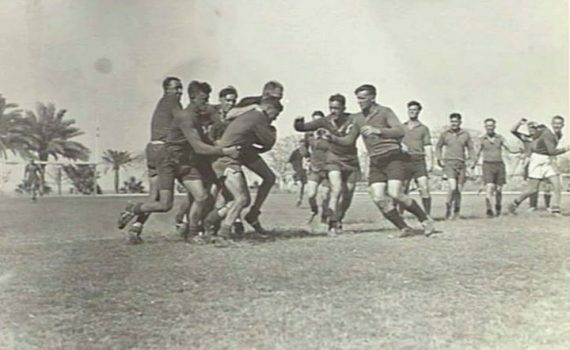 Today’s image celebrates a game of rugby played between South African and Australian military personnel in Beruit, Lebanon. 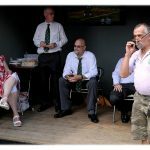 In less than a month the World will again watch as the top Rugby playing Nations battle it out for the William Web Ellis Trophy as the Rugby World Champions of 2015. 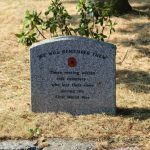 Maybe we should pause for a moment and remember the numerous rugby players from all nations that died during the two World Wars. 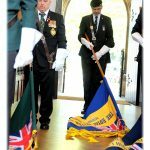 The Commonwealth War Graves Commission has a special pamphlet “Rugby’s War Dead” that deals exclusively with the topic. Included in the pamphlet is one South African Jacky Morkel. Jan Willem Hurter Morkel, better known as “Jacky” was born on 13 November 1890 in Somerset West where he attended the “Hottentots- Holland” school. He later made his debut for Western Province as Outside Centre. 23 November 1912 against Scotland at Inverleith, Edinburgh. Springboks won 16 – 0. 30 November 1912 against Ireland Aviva Stadium (Lansdowne Road), Dublin. Springboks won 38 – 0. Jacky scored two tries. 14 December 1912 against Wales at Millenium Stadium (Cardiff Arms Park), Cardiff. Springboks won 3 – 0. 04 January 1913 against England at Twickenham, London. Springboks won 9 – 3. Jacky scored a try. 11 January 1913 against France at Le Bouscat, Bordeaux. 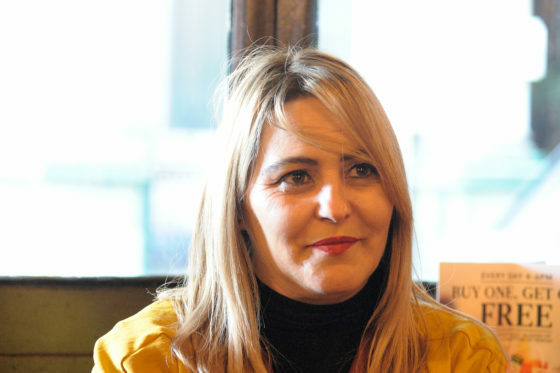 Springboks won 38 – 5. Jacky scored 1 trya and two conversions. The 1912 – 1913 Springbok side was the first Southern Hemisphere team to achieve a “Grand Slam” of five wins against the four Home Nations and France. 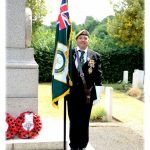 When the first World started in September 1914 Jacky, although employed in an industry deemed essential to the war effort, joined the South African Mounted Commando’s as a Private and served with the 1st Mounted Brigade. Van der Venter Scouts, Mounted Commandos, S.A. Forces in German East Africa. “Men and women from all over the Commonwealth answered the “call to arms” during both wars. Many of them died fighting in remote regions or in smaller campaigns that were equally important to the overall war effort. 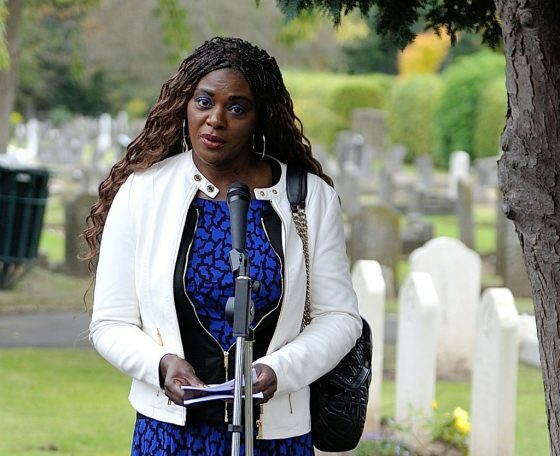 No matter where or how they died, their graves, memorials and names are still cared for by the Commission. Major Blair Inskip Swannell – Australia. 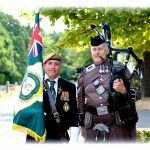 Served with the Australia and New Zealand Army Corps (ANZAC) during the Gallipoli Campaign during World War One. 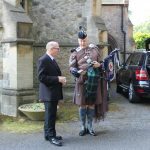 Vice Admiral Norman Atherton Wodehouse – England. Served as Gunnery Officer on board HMS Revenge during the battle of Jutland with the Royal Navy during the First World War. 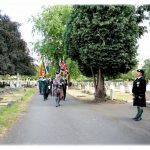 During the Second World War he was recalled and in 1941 was commanding a convoy to South Africa when the convoy was attacked by German Submarines. He ordered the convoy to scatter and his ship was never seen again. He is commemorated on the Liverpool Naval Memorial. Lieutenant Marcel Burgun – France. Saw service in Europe with the French Air Force during World War One. 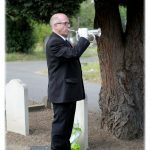 Captain Robert Alexander – Ireland. 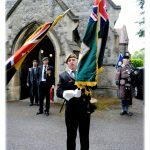 Saw service with the Royal Inniskilling Fusiliers in Europe during the Second World War. 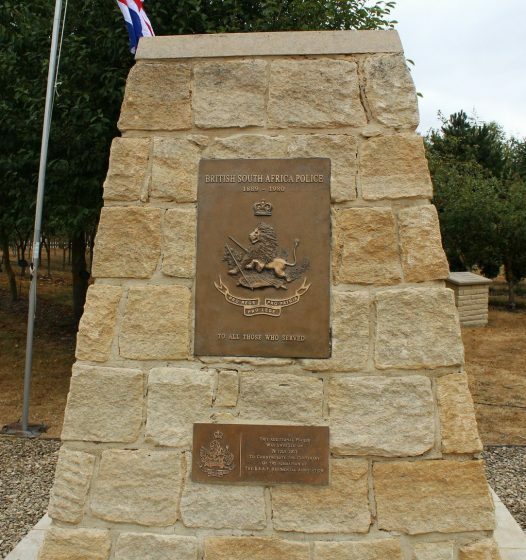 Pilot Officer Donald Gordon, Cobden – New Zealand. Saw service with the Royal Air Force during World War Two. 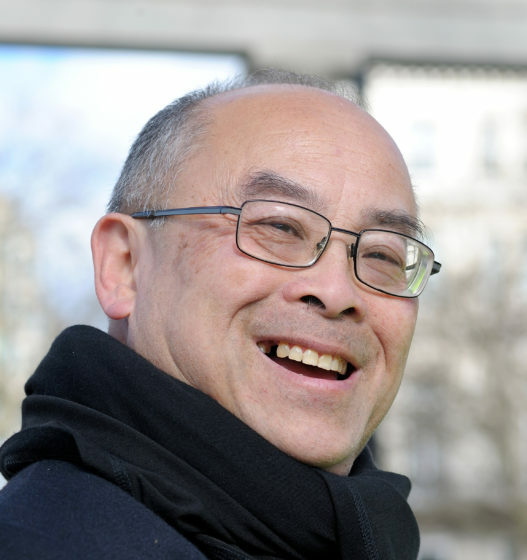 Surgeon David Revell Bedell-Sivright – Scotland. Saw service with the Medical Unit of the Royal Naval Division during the Gallipoli Campaign of the First World War. 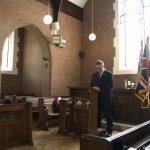 Lieutenant John Raymond Evans – Wales. 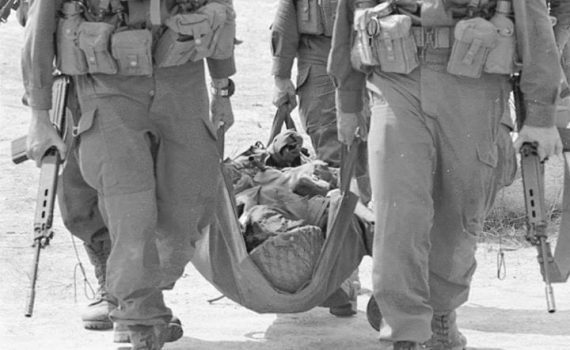 Saw service with the Parachute Regiment in North Africa. 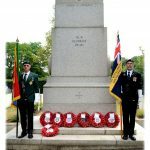 Please down load the pamphlet “Rugby’s War Dead” from the Commonwealth War Graves Commission’s website. It is a must read for every rugby lover. 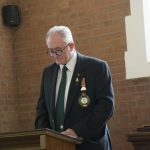 Story for the South African Legion of Military Veterans by Lgr Charles Ross based on the Commonwealth War Graves Commission’s pamphlet “Rugby’s War Dead” and the “Springbok Rugby Hall of Fame”. 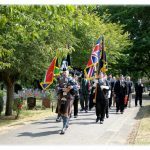 Today we especially remember the fallen from the Angolan/SWA Border War and the ‘Battle of Cassinga’ on the 4th May 1978 – in this very emotional picture we remember Rifleman Edward James Backhouse from 3 Parachute Battalion as he comes home. There is an unwritten law to all servicemen – you don’t leave your buddies behind in a fire fight. Eddie was Killed in Action during the Battle of Cassinga. He was 22. Let’s remember this fallen Airborne Brother, and all the scarifies made at the Battle of Cassinga. 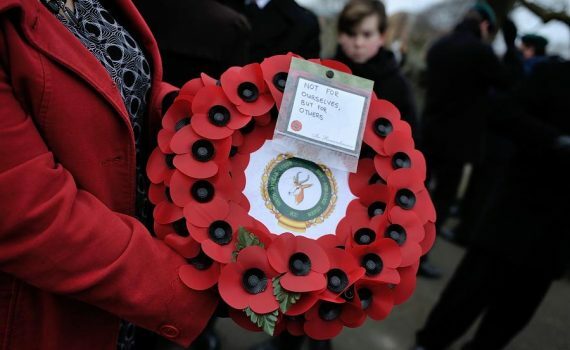 As a mark of respect, especially due to the highly controversial circumstances that surrounded this action, lets remember the immense sacrifice and loss experienced by all who participated in this battle and not get into any political platforming, it will only serve to disrespect the fallen. During the Second World War, South African Navy personnel – known at the time as the “South African Naval Forces” (SANF) were seconded to serve on ships in the Royal Navy. Nothing drives home the peril of serving on a fighting ship harder than this footage of the sinking of the HMS Barham, it is simply jaw dropping. Made even more poignant for us if you consider we are witnessing the loss of the following South African naval personnel in this tragedy. 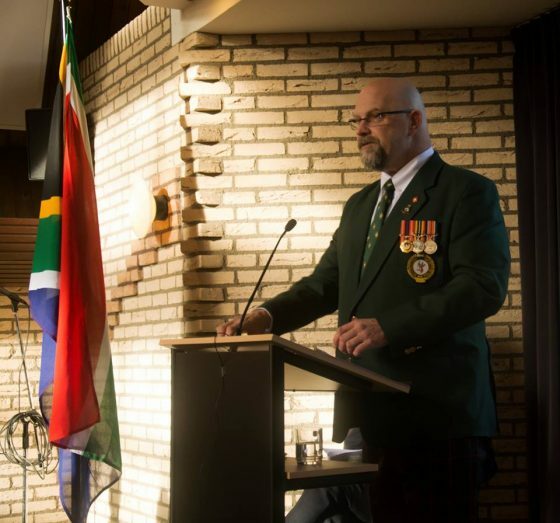 It is our duty as South African veterans never to let selective history and the mist of time obscure the brave contributions of our countrymen during this war, it is our our duty as South African Legion to continually educate and keep this memory alive. HMS Barham was a Queen Elizabeth-class battleship of the Royal Navy She was sunk during the Second World War on 25 November 1941 by the German submarine U-331north of and off the coast of Sidi Barrani, Egypt. Prior to this HMS Barham visited Durban, South Africa, in June 1941 for extensive repairs at the Victoria Graving Dock. The repairs where due to damage sustained in the Crete bombing. She sailed from Durban on the 31st July 1941.